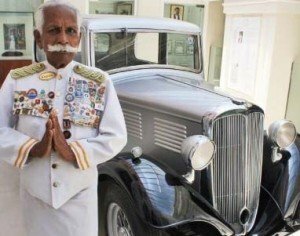 Kottarappu Chattu Kuttan, a doorman who worked for 72 years at Colombo’s Galle Face Hotel, the most famous hotel in the Sri Lankan capital, has died aged 94. Kottarappu Chattu Kuttan started as a waiter and never retired from his job at the Galle Face Hotel. Guests would be greeted at the grand seafront entrance by Kottarappu Chattu Kuttan with his palms pressed together in the traditional greeting. White-haired with a handlebar moustache, the diminutive figure also sported badges from all over the world. Kottarappu Chattu Kuttan had emigrated from his native Kerala in southern India aged 18 in 1938 after the death of his parents. Looking for work, he crossed to what was then Ceylon by boat, starting in domestic employment in Colombo and joining the Galle Face in 1942. The 150-year-old hotel is renowned for its illustrious list of past guests, and Kottarappu Chattu Kuttan met many of them. “Ceylon… was a different country then. Famous people like Emperor Hirohito, Richard Nixon, Sir Laurence Olivier and George Bernard Shaw came and stayed with us,” Kottarappu Chattu Kuttan told AFP in 2010. He also met Lord Mountbatten and Jawaharlal Nehru, the then Princess Elizabeth – and the Bond girl, Ursula Andress. And he saw a Japanese fighter-plane crash-land in the grounds during World War Two. Kottarappu Chattu Kuttan had almost retired after finishing as a waiter in the 1980s but was kept on at the front entrance where he found his true calling. The hotel suggested, and funded, a trip back to Kerala for his employee, many decades after he had last seen India. Kottarappu Chattu Kuttan still had family there including two sisters. Kottarappu Chattu Kuttan’s Sri Lankan wife, who was a Christian, died some years ago and in latter years a grand-daughter looked after him. He had been ill for his final months but remained on the Galle Face Hotel staff. The hotel held a minute’s silence as a tribute to Kottarappu Chattu Kuttan, a devout Hindu, who will be cremated on November 19.